1. 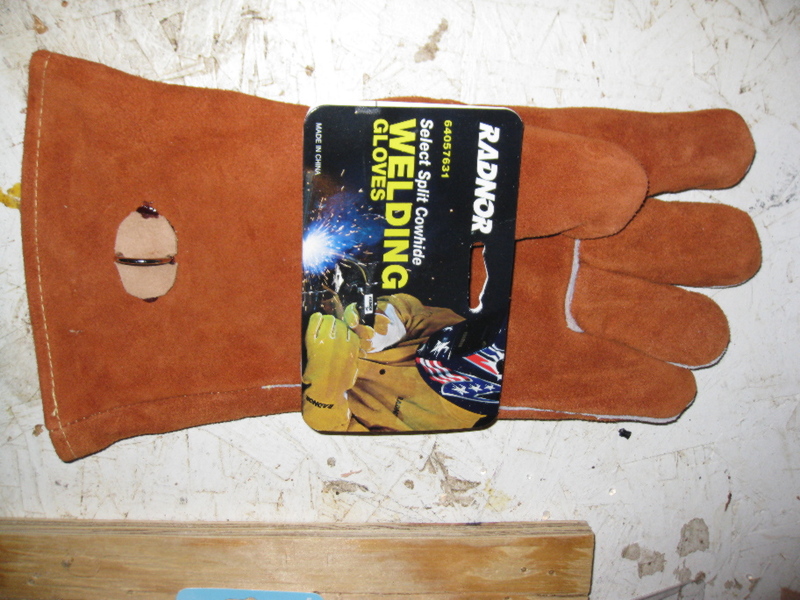 Strong leather gloves can be purchased cheaply at the local welders supply store. I found some great lined gloves for $7.95 a pair. 2. Find some d-rings at the local craft or fabric store such as J0-Ann fabrics. Do NOT use plastic, metal D-Rings are a must! 3. 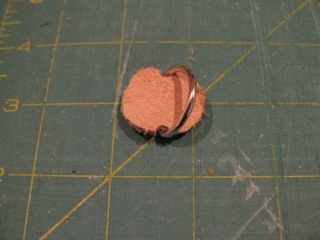 Use some scrap leather to cut out a round patch, similar in diameter to the D-Ring. 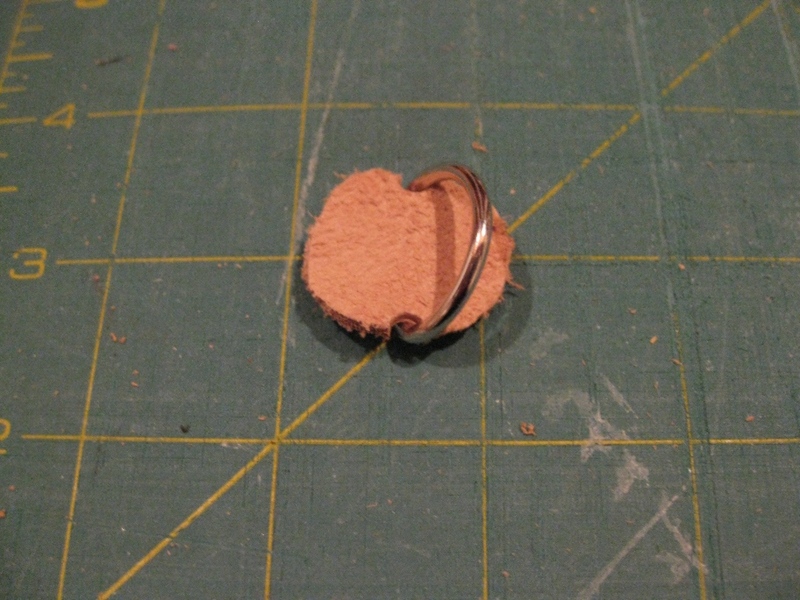 Cut out notches in the center so that the D-Ring can move side to side fairly easily. Glue the patch and D-Ring to the glove with Super-glue or with epoxy so that stitching the patch is easy. 4. 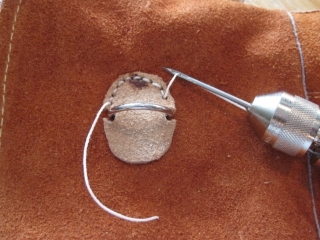 Stitch the D-Ring holder to the cuff of your glove and *bingo*. 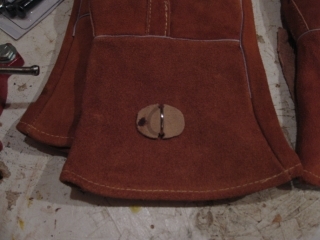 You have a durable, inexpensive falconer’s gauntlet. For additional re-assurance that the patch is holding, you could glue / epoxy the patch to the glove and also use leather rivets to secure it onto the glove.